Airport lounge access has its perks, such as free food, beverages, Wi-Fi, and entertainment, as well as lounge agents to help you rebook if your flight is delayed or canceled, or if you have a change of plans. If you’re on a layover between a few long, international flights and need to be refreshed before you reach your final destination, some airport lounges even offer showers and spas. A common misconception is that airport lounges are only for elite travelers. But in reality, if you’re savvy enough, there are several ways for the everyday travel to gain access to most of the airport lounges around the world. If you’re looking to live the life of luxury while waiting for your next flight, follow one or more of the tips and tricks I’ve outlined for you below. Annual airport lounge passes can be a bit pricey if you haven’t already earned them as an elite traveler, so if you’d rather indulge in the VIP lounge experience only once or a few times each year, consider buying a day pass only as needed. And if you want to save even more, make sure to plan ahead. Some airlines offer a discounted day pass to their lounge when you purchase your ticket (as opposed to buying the pass once you arrive at the airport). The prices for day passes vary and usually hover around $50. For example, United Club lounge passes are $59 and Alaska Airlines charges $45 per day. If you haven’t reached elite status in your favorite airline loyalty program, you have the option to buy annual memberships to U.S. airline lounges for anywhere between $400 and $600. With the average day pass costing around $50, this is a great deal for those who travel at least five times a year (if you take the $50 cost into consideration for each leg of a round-trip flight). 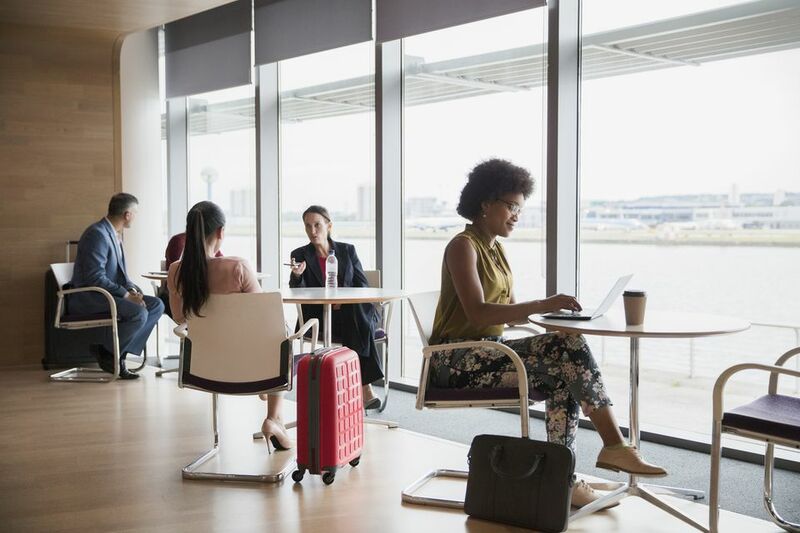 However, for those traveling less frequently, there’s the option to bypass airline lounges for more affordable memberships through independent airport lounge networks. For example, LoungePass starts at only $13.50 per pass and offers a pay-as-you-go model, so infrequent travelers can avoid annual fees. Through LoungePass, you can choose to indulge in the VIP experience at more than 300 lounges in 190 airports worldwide. Another option is Priority Pass, which offers memberships ranging from pay-as-you-go to all in. The program starts at $99 per year, then costs an additional $27 per lounge visit. The highest level is $399 a year and offers unlimited access with no fee per visit. Priority Pass includes more than 900 lounges worldwide and also partners with Citi Prestige, American Express Platinum, and HHonors, offering complimentary or discounted memberships to cardholders. Many travel rewards credit cards include free or discounted airport lounge access as one of their membership perks. American Express Platinum offers complimentary access to more than 900 airport lounges, including The Centurion lounge network, Airspace Lounges, and Delta Sky Club. As an added perk, immediate family or up to two companions can enjoy all the perks and benefits that lounge access has to offer. United MileagePlus® Club cardholders and eligible travel companions can work, relax and enjoy complimentary food and beverages at all United Club locations and participating Star Alliance lounges worldwide. The Citi Executive/AAdvantage World Elite MasterCard not only offers lounge access but also gives cardholders the opportunity to earn 50,000 AAdvantage bonus miles after making $5,000 in purchases during the first three months.